Take a trip out to Strathclyde Park for a night of music and fireworks to celebrate Guy Fawkes on the 5th of November. 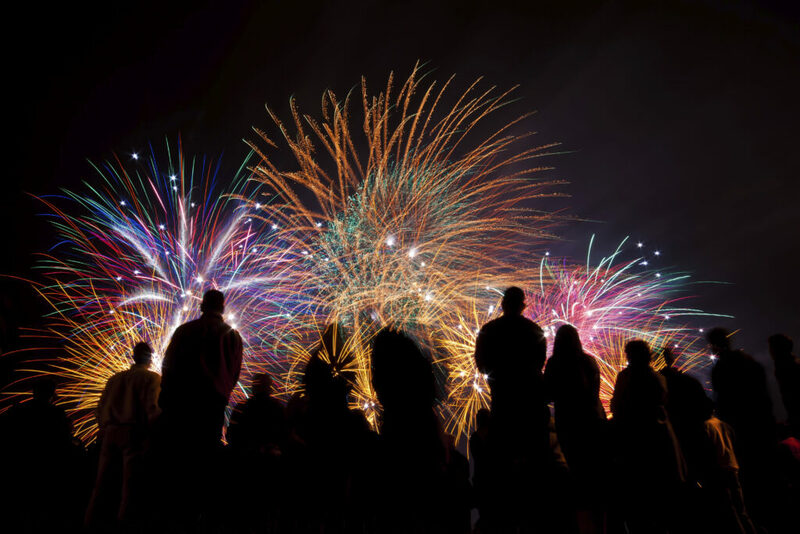 Wrap up and head out on November 5th for live music, a funfair, a bonfire and the fireworks at The Strathclyde Country Park Fireworks display. A funfair run by M&Ds will be open from 4.30pm to 9.00pm and there will be live music and entertainment throughout the evening from Clyde 1. The bonfire is lit at 6.45pm and fireworks begin at 7.15pm. Enjoy a spectacular light show as fireworks reflect over the water of Strathclyde Loch. Hot food and drinks will be on sale in the park. The event is free, and free parking is available within the park. Parking is also available at Hamilton Palace Grounds retail park but pedestrians entering the park via the underpass and footbridge from there must be in by 7.15pm. After that time, the footway will only be used to exit the park, to minimise congestion. Fantastic night, display was fantastic all the family had a great night. Music, food entertainment was out of this world. They all done well. My only criticism was the young kids walking by police shouting and drinkin for them not to do anything about it. Loved my first ever Strathy Park bonfire night! So glad this happens every year, and lovely to see so many local families out enjoying it. Thanks to the organisers, best fireworks ever! This is a fantastic night out, a true way to celebrate bon fire night. The bon fire is in the middle of the water ( still no idea how they do that), and there is a fun fair although I have never went round to that end as its very very busy, its so much more chilled at the other end of the lake nearer m&d’s. The music is still loud at this end trust me and it echoes as well which adds to the effect. there is food and fewer people over this end ( so less tall heads in the way ) and u can sit on the pebble beach to watch, if u have kids with u then maybe the fun fair end would be better as it can feel like forever for the show to begin but if ur there for the fireworks the best place to watch them is right on the pebble beach. a lot more relaxed and enjoyable at this end of the park and takes less time to get out when driving as well. The fireworks are always amazing and always new, you never see the same ones two years in a row and the music goes with them almost perfectly, its timing is usually spot on. My family, friends and myself will be heading to the park tonight. Sure it will be amazing as always. A Fantastic night out (been several times). Arrive early as this will give you time to check out the fairground rides and stalls (hot food and drink available and toilets too at watersports centre) you can park(best to arrive early) in strathclyde park but can take an hour to get out after show ends. Suggest you park in central motherwell (aquatec and surrounding car parks or on street) then walk to strathclyde park as thousands do!.. Best spot to watch is near watersports centre as music is loudest here!. otherwise you will not hear the briliant music matching the fireworks (which does add to the spectacle). Wrap up warm (hat & gloves/thermals)as the wind blows off the lake and can be very chilly!. better still, bring a flask an sweets as can seem a long wait till show begins… Fireworks show lasts about 30 minutes…Enjoy! well what can i say this was a very good night indeed it was well put together and the display was out of this world i took my partner christina and my wee girl keira and they loved it…. very well planed out and very save with the fire in the midle of the water yes i no but yes it was in the water and the fireworks they had a very good display i can just say this is one of the best family nights out and the real radio team just made the night the guys wher very good…. thank you guys….. and the fun fair was great for the kids… it was just a great night all round…. thank you …. Had a brilliant night yet again, this was my third time at this event,seems to get better every year,thanks to everyone involved. Only down side was the traffic on the way out,long wait,40 mins to get out,some of the crowd were, lets just say a bit of a handfull for the police,and all my grandaughter and her friend had to say was about the youths who were carted away by the police, i’m not against anyone having fun, but this is a family event, nuff said, see you next year. well what a night it was just the best and that was some firework display i will be going to the same place next year my partner christina and my wee girl keira thought it was really good and real radio been there was really good it was just a really good night one of the best i have seen in years….